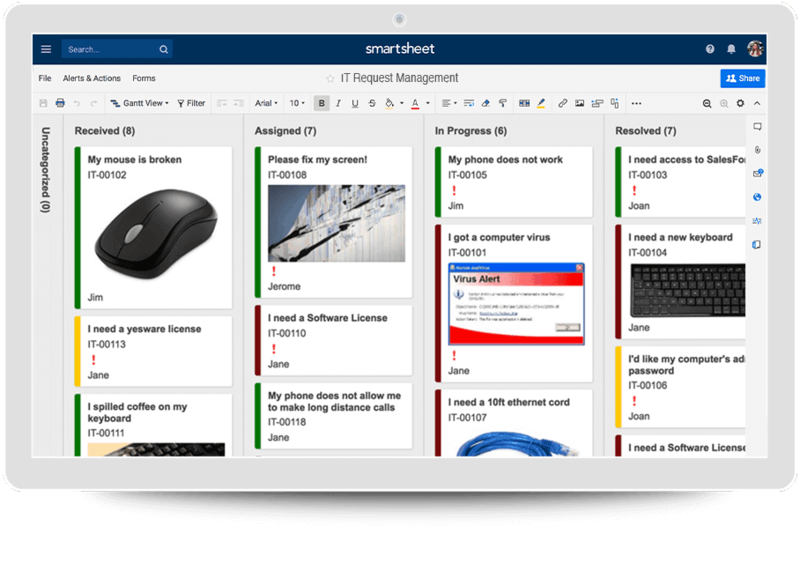 Discover a collaborative, real-time way to manage IT projects with Smartsheet. In IT, projects have become more complex as technologies rapidly change and end-users demand greater ease-of-use and flexibility. For an IT project manager to achieve their objectives, it is imperative that these initiatives are completed on time and on budget. Discover what it means to manage IT projects, common challenges faced by IT project managers, and tips to make your next IT project a success. You’ll also find helpful resources, like guides and free templates. IT project management (ITPM) is the process of managing the plan, organization, and accountability to achieve information technology goals. Since the reach of IT spans across most of a business or enterprise, the scope of these projects can be large and complex. The magnitude of IT project management often means that it’s more than just applying knowledge, aligning skills, and using regular tools and techniques to drive a project to completion. IT project managers deal with the challenges of interdependent integrations, rapid technology upgrades, and version changes that can occur throughout the project timeline. The ITPM lifecycle includes the five basic phases of project management, but the main difference for IT project management is how the project lifecycle is managed. The most common ITPM method is the Waterfall methodology, which involves a predictive linear process. The entire project is defined before starting, and each phase is initiated and completed before moving on to the next phase. Another lifecycle method is the Iterative method, which uses a more incremental approach. The iterative or incremental approach repeats phases, and each iteration completes the planning, analysis, and design phases with the ability to deliver on a specific goal at the end of the iteration. IT project management may also use an adaptive lifecycle, such as those found in Agile methodologies. This style is even more flexible than the iterative approach by condensing timelines into shorter activity bursts called sprints. 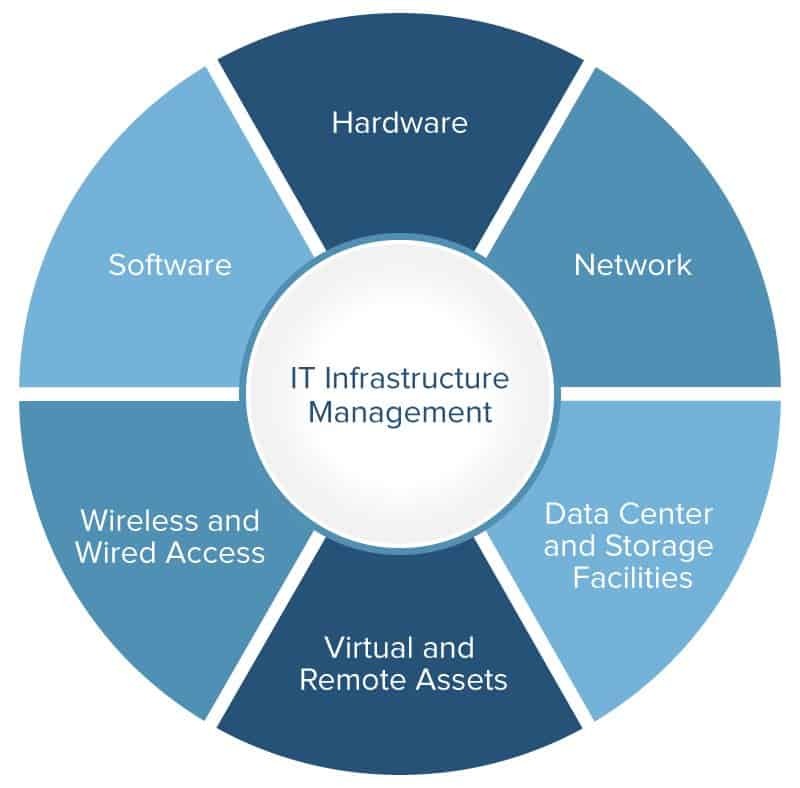 Today’s IT project managers (IT PM) must be able to juggle a wide range of tasks and responsibilities. They must be able to handle firmware and software integrations, website construction, database storage and management, and also build complex and geographically diverse infrastructures and networks, all while planning for potential security and data risks. Throughout their projects, an IT PM is responsible for setting goals, communicating and motivating team members and stakeholders, identifying the right resources for each task, researching, managing change, performing needs assessment, and properly sequencing tasks. Making multiple assumptions when integrating different hardware, networks, and software to the existing system. Unclear expectations from the business, end-users, and stakeholders. Rapidly changing technology, leading to necessary mid-project upgrades that can affect timelines. Geographically diverse offices and remote work associated. Successful IT project management combines the implementation of standard project management best practices with the art of managing conflict, change, expectations, and more. During initiation: Be sure you have assessed whether the project is a good use of resources and whether the project outcome will satisfy a business need. During planning: Complete your project charter, and have a good understanding of task dependencies and how missed milestones could impact overall timelines. During execution: Over-communicate and host daily stand-up meetings to discuss status and any project blockers. During monitor and control: Ensure you have the right PM tool in place that enables you to monitor progress in real time. During closeout: Do a project retrospective that answers what went well, what could have been better, and what you would change next time. The Ultimate IT Dashboard: What Should It Measure? Much like many other businesses, healthcare is experiencing a rapid change in the way IT projects are managed as more advanced technology becomes readily available. To manage, adapt, and utilize these technological advances across healthcare processes, like clinical trial management and provider credentialing, a solid, well-developed IT project management plan is crucial. Sometimes referred to as Healthcare Information Technology (HIT), this technology aims at streamlining the complex healthcare processes, like data access and management, patient care information, medical reporting and documentation, and claim review. Paired with an IT-focused project management plan, this resource can be leveraged to delegate processes, manage change and mitigate risk as it is identified, and ensure top-notch experiences for patients and service providers alike. Additionally, establishing a streamlined IT project plan eliminates paperwork and manual processes in order to reduce cost of operations and improve overall patient care. To ensure that all health-related, IT, and operations processes are integrated into one, comprehensive plan, healthcare organizations need a powerful, collaborative, and transparent tool to manage IT projects from initiation to completion. Smartsheet is a work execution platform that enables healthcare companies to improve IT work efficiency, scale business processes, and securely manage and store PHI, while meeting or exceeding all of HIPAA’s regulatory requirements. Streamline reporting and organize all necessary information in one location to ensure your IT projects and operations run efficiently. 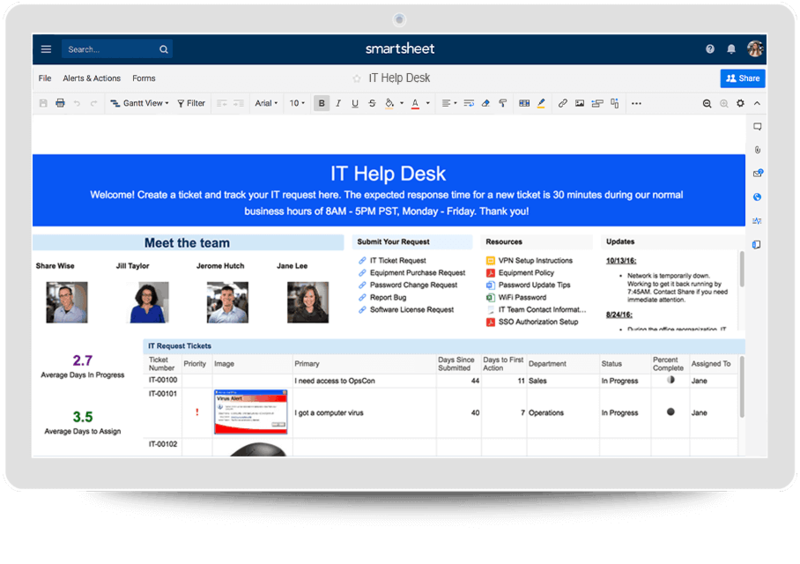 Interested in learning more about how Smartsheet can help you maximize your efforts? Discover Smartsheet for Healthcare.